5th September 1917, aged 26. Son of William Joseph and Agnes Lamborn, of 2, Rathmines Grove, Auburn, Victoria, Australia. 9th October 1917, aged 30. Son of Alfred and Mary Jessie Ann Lock, of Bridgewater, South Australia. A clerk with civil engineering training prior to enlistment, Cpl Lock embarked from Melbourne on HMAT Aeneas on 3 October 1916. After being promoted to the rank of sergeant he died of wounds on 9 October 1917, aged 30, at Passchendaele, Belgium. After the war, the town of Lock, SA, was named after Sgt Lock who had been an officer of the Land Office, Department of Lands, SA. 2nd August 1917, aged 29. Husband of Catherine Longworth, of 8, Richardson's Buildings, Sykes St., Hull. 15th November 1917, aged 23. Son of David and Susan McKay, of 299, High St., West Maitland, New South Wales. 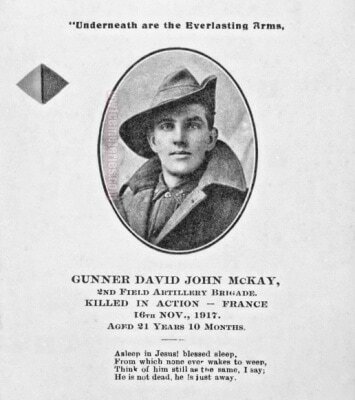 Memorial card portrait of 28112 Gunner (Gnr) David John McKay, 102nd Battery, 2nd Field Artillery Brigade (FAB). The inscription at the top of the portrait reads, "underneath are the everlasting arms,". Note the colour patch for the 2nd FAB to the left of the portrait and the adaptation of a hymn underneath. Gnr McKay of West Maitland, NSW, enlisted on 5 September 1916 and was killed in action in Belgium on 16 November 1917, aged 23 years. He had been sheltering with several other men in a former German Pill Box on Anzac Ridge after heavy fire had forced them to leave their gun. After an hour in the Pill Box and believing the shelling to have stopped they walked back to the battery in single file. A High Velocity shell landed about 3 yards away killing Gunner Schultz immediately and wounding Gunner McKay numerous times. A stretcher was called for but David McKay died before it arrived. Samuel Ernest Goold Mills, M. C.
25th October 1917, aged 36. Son of Charles William and Eliza Mills; husband of Philippa E. Mills, of Sydney, New South Wales. Native of Dundas, New South Wales. 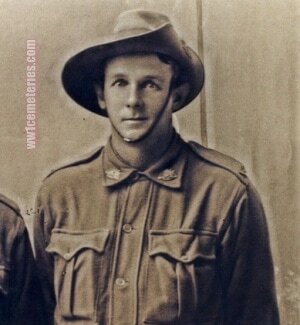 A miner from Kalgoorlie, Western Australia, prior to enlistment, he embarked as 1183 Company Sergeant Major of D Company from Adelaide on 18 November 1915 aboard HMAT Geelong (A2) for Suez. He was promoted to Second Lieutenant (2nd Lt) on 13 March 1916. The battalion relocated to the Western Front, France, in mid-June 1916. 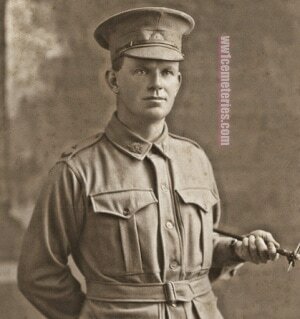 2nd Lt Mills was wounded in action at Fromelles on 20 July 1916 and was awarded the Military Cross “for conspicuous gallantry and devotion to duty” for his actions. 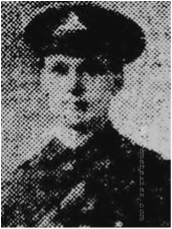 He was evacuated to England for treatment and recuperation before rejoining his battalion in early September 1916 and soon after was promoted to Lieutenant. 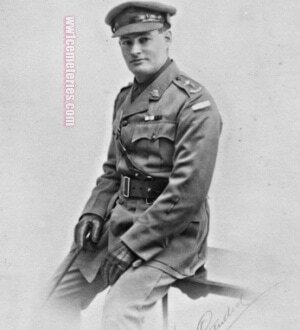 He attended the Divisional Military School in January 1917. In mid-March he was hospitalised for three weeks with illness and during this period he was promoted to Captain (Capt). 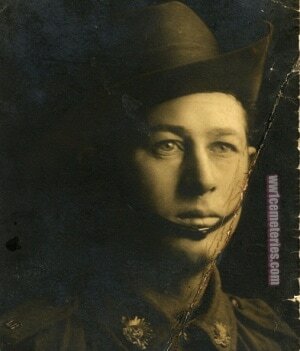 From early July 1917 he attended the 5th Army Infantry School. Capt Mills was killed in action near Dickebusch, Belgium on 25 October 1917. He was aged 36 years. Son of James and Emily C. Mitchell, of 125, Rountree St., Balmain, New South Wales. Native of Brisbane, Queensland. 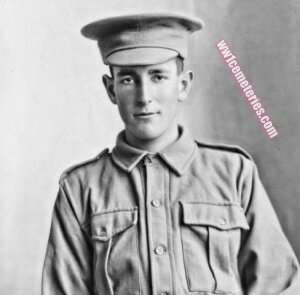 His brother, Albert Edward Mitchell also fell, he is commemorated at V. C. Corner Australian Cemetery. From Balmain, NSW (originally of Brisbane, Qld). 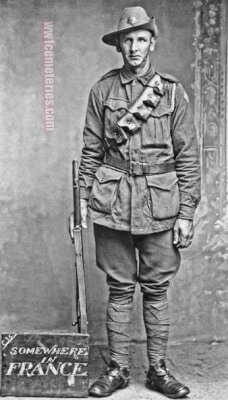 A labourer prior to enlistment, Pte Mitchell embarked with the 16th Reinforcements from Sydney on SS Marakini on 1 April 1916. On 4 October 1917 he died of wounds at Broonseinde, Belgium, aged 21. 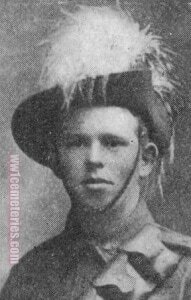 Pte Mitchell's brother, 4845 Pte Albert Edward Mitchell, enlisted in the 3rd Battalion on 9 October 1915 and was killed in action at Fromelles, France, on 19 July 1916, aged 23. Son of D. C. E. and Rachel Gertrude Neilsen, of Mountain View, Gundiah, Queensland. Native of Tiaro, Queensland. A labourer prior to enlisting on 15 November 1915, Gnr Neilson embarked from Sydney, NSW, aboard HMAT Argyllshire on 11 May 1916. He was killed in action at Dickebusch, Belgium, on 25 September 1917, aged 21. "I saw Neilsen killed at Zillebeke, the brigade was in action and he was in the gun pit, a shell burst just outside and a splinter took the top of his head off, killing him instantaneously. The ground was held." 28th October 1917, aged 33. Son of John and Marion Thornton Orr, of Charlotte St., Brisbane, Queensland. Native of West Calder, Midlothian, Scotland. A grocer from Paddington, Queensland, Gnr Orr embarked with the 23rd Reinforcements from Sydney aboard RMS Orontes on 19 December 1916. He was killed in action on 28 October 1917 at Dickebusch, Belgium, aged 33 years. 30th September 1917, aged 27. Son of John and the late Caroline Pearsall. From Rokeby, Tasmania, formerly of New Zealand. A farmer prior to enlistment, Pte Pearsall embarked on board HMAT Ulysses (A38) on 25 October 1916. He arrived for further training in England in December 1916, but spent several weeks hospitalised with the mumps. In June 1917 he arrived in France and rejoined his Battalion during July. Admitted to hospital in France with suspected appendicitis in August, he arrived at the Front on 25 September 1917. On 30 September 1917, Pte Pearsall was killed in action at Polygon Wood, near Ypres, Belgium. 28th September 1917, aged 26. Son of Thomas and Elizabeth Rees, of 4, Dover St., North Williamstown, Victoria, Australia. A 23 year old tailor prior to enlisting on 16 July 1915, he embarked for overseas on 10 November 1915 from Melbourne aboard HMAT Ascanus. 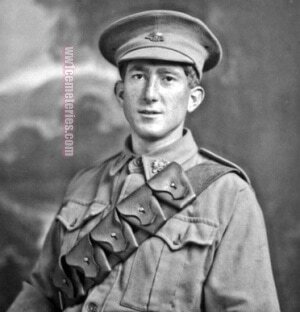 Shortly after arriving in Egypt, he joined the 29th Company, Australian Army Service Corps and went with them to the Western Front. On 27 September 1917 he was wounded in action at Dickebusch, Belgium and died of wounds the next day. ​Injured during the night by shrapnel from a bomb dropped from an aeroplane, he died soon after at the Field Ambulance, in Dickebusch. From Corryong, Vic. He enlisted on 10 August 1915 and was killed in action at Flanders on 30 September 1917. 13th September 1917, aged 29. Born in Newcastle on 5th October 1887. His profession was a coachman. He was killed in action at Verbrandenmolen in Belgium on 13th September 1917. Picture and information courtesy of Philip Laverick who's wife Susan is George's Granddaughter, who he never saw. 5th August 1917, aged 26. Son of F. T. and A. M. Veale, of 136, New Hall St., Burnley. 5th Australian Division, Z.5A Trench Mortar Battery. 10th November 1917, aged 20. Son of Christopher and Elizabeth Ann Wilson, of 3, Knowles St., Northcote, Victoria, Australia. From Northcote, Vic. 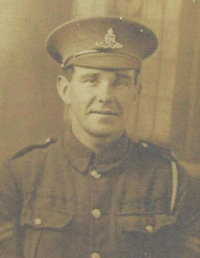 Gnr Wilson worked as a salesman prior to enlisting on 9 September 1916. He died of wounds at Zonnebeke Ridge, Belgium, on 10 November 1917, aged 20 years. 5th Div. Australian Trench Mortar Battery. 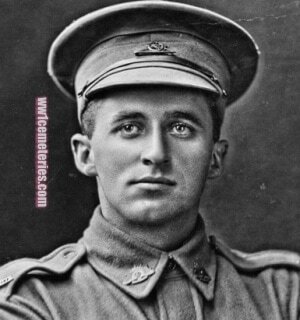 ​10th November 1917, aged 20. Son of Arthur William and Mary Jane Wood, of "Coila," Shirley Rd., Wollstonecroft, Sydney, New South Wales. From Wollstonecraft, NSW. Gnr Wood worked as an apprentice electrical engineer prior to enlisting on 21 August 1916. He was killed in action at Zonnebeke Ridge, Belgium, on 10 November 1917, aged 20 years.